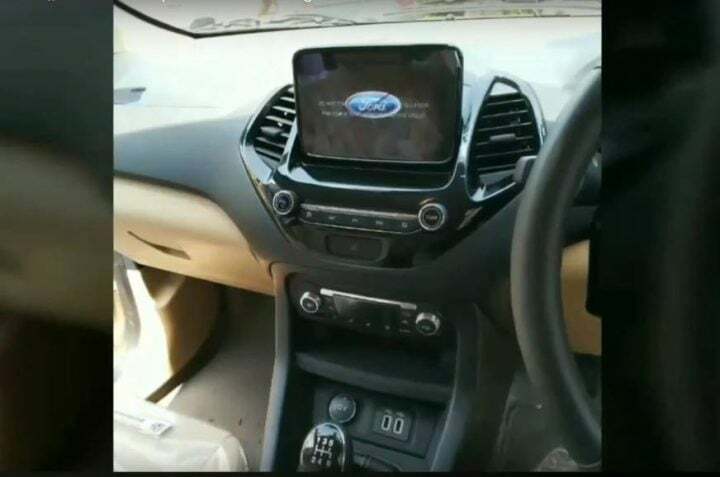 Complete details regarding the Ford Aspire facelift have been leaked online curtsey a spy video. The compact sedan takes design inspiration from Freestyle cross-hatch. The launch of the Ford Aspire facelift is right around the corner. 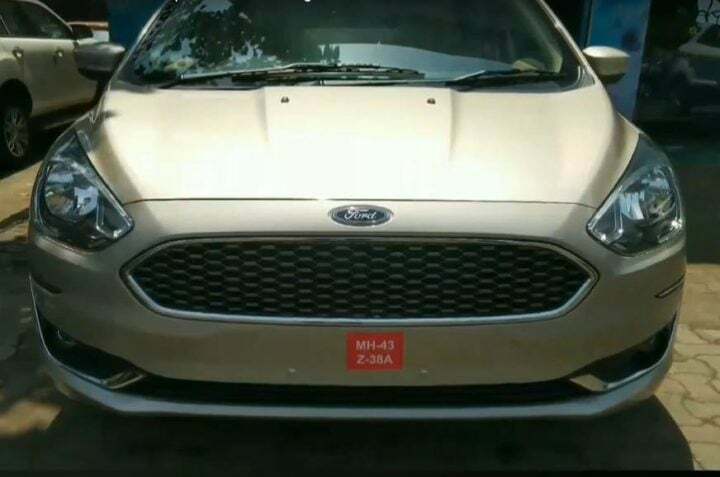 As this compact’s sedan’s imminent launch comes closer, a number of sightings have crept up on the internet, revealing one or the other detail about it. However, the latest spy video reveals almost all the visual details regarding the mid-cycle refreshment of the Ford Aspire! The Aspire, with its mid-life update, now comes with several design upgrades, both on the inside as well as the outside. As it is clearly visible from the snapshots taken from the video, the new Ford Aspire comes with an all-new bumper design. In fact, as expected, the aesthetics are quite similar to the ones seen on the recently launched Freestyle CUV! 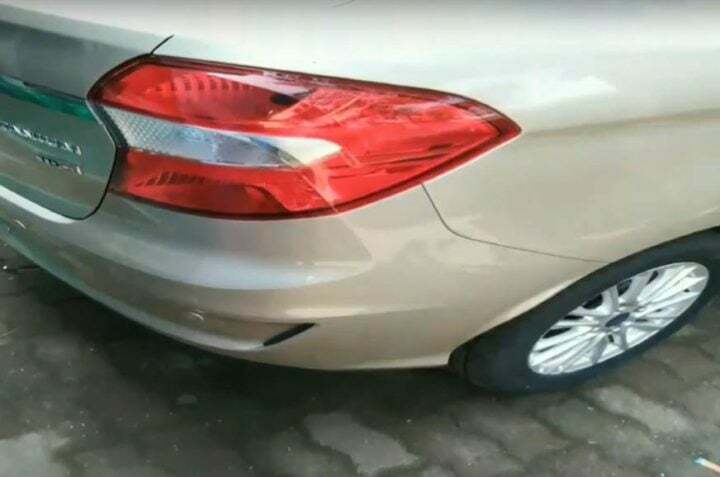 This compact sedan now comes with an elegantly designed defuser on the front bumper which tapers of at the edges into a neat design that engulfs the fog-lamp housing. In addition to this, though the shape and design of the headlamps remain the same, they now get redesigned internals. Furthermore, the ‘Aston Martin’ inspired grille gets a chrome treatment. The side profile looks identical to the current spec version. However, there is a minor change. This is the addition of new 15-inch multi-spoke alloy wheels which add an up-market appeal to the compact sedan. At the back, the tail-lamp design remains the same as before. But just like the front, the rear bumper too comes with a similar design at the edges. The cabin of the Ford Aspire facelift, as expected, features an all-new centre console unit. The top-of-the-line model is going to come with a large, 6.5-inch touchscreen SYNC3 infotainment system. Beneath which sit its elegant control panel. Just like the Freestyle, the Aspire also comes with two USB slots right below the cubby hole designed to keep mobile phones. The rest of the cabin layout is expected to remain the same as before. That said, the engine specifications of the Ford aspire will not remain the same as before! Yes, the Aspire facelift is going to come with an all-new, 1.2-litre, 3-cylinder petrol engine. This is the same unit which made its debut on the Freestyle as well. This engine is capable of churning out 96 BHP of power and comes with a 5-speed manual gearbox. The diesel engine will remain the same as before. The Aspire facelift will continue to use the current spec’s 1.5-litre TDCi unit which pumps out 100BHP of power. In terms of prices, there might be a slight increase due to added features and safety kit. The current model retail in-between the range of INR 5.82 – 8.56 lakhs (ex-showroom).